This site reviews just about everything from cars to motorbikes, providing you with detailed information on each bike via text and image. The site has a reputation for reliability and is always good on facts and figures. Cycleworld.com does things slightly differently. They provide you with video footage of a particular motorbike and the voice-over tells you all the specs and pros and cons of the particular model. This is the perfect site for those new to the world of motorbikes, providing a simple introduction into motorbikes, tips on what to buy and what to avoid, pricing advice and all other things you need to know when starting out. By far the most comprehensive website for bikers, motorcyclenews.com will advise you on just about everything, including news, sport, bikes for sale, insurance, parts & clothing, bike reviews, shows and must more. The site has a convenient search options which allows you to search for a particular topic. You can subscribe and receive a regular newsletter and the website content is also available in print. Available online and in print, ridermagazine.com is a comprehensive guide to motorbike sports and contains information on bikes, accessories, motorbiking events and touring. Excellent and informative videos and feature articles complete this in-depth motorbike site well-worth subscribing to. 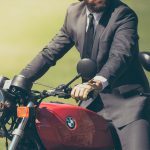 This is probably the best motorbike blog you will come across with fun articles, great lists, reviews and product comparisons as well as an excellent “Learn to Ride” section with tips and advice for beginners. This site is the online version of the US top motorbike magazine “Motorcyclist. While the site predominately features reviews, you can also find tips on repairing your bike, a link to their blog, a news section, more reviews, advice on motorbike gear and a buyer’s guide. Running for over twenty years, this site features all you need to know about motorbikes. There is a convenient link to dealerships, a great how-to-section and a few quirky items to keep you entertained. Bikebandit.com is the longest running website for motorbike parts. This site is packed with information, comparisons, reviews and indexes and features not only currently available motorbikes but also older types and models. All the sites will educate and thrill motorbike enthusiasts in equal measure and ensure you know all there is to know in bikes, accessories, safety and fun.